Our weekly commentaries and updates will remain free until April 22, 2019. Effective April 22, 2019, a subscription will be required in order to receive them. Anyone who signs up before April 30, 2019 will receive a yearly subscription at the discounted rate of $99/yr. Of course, clients of Fundamental Analytics and BlackSummit Financial Group will continue receiving our weekly content for free. The April USDA WASDE report was released Tuesday and the data were generally bearish to commodity prices. 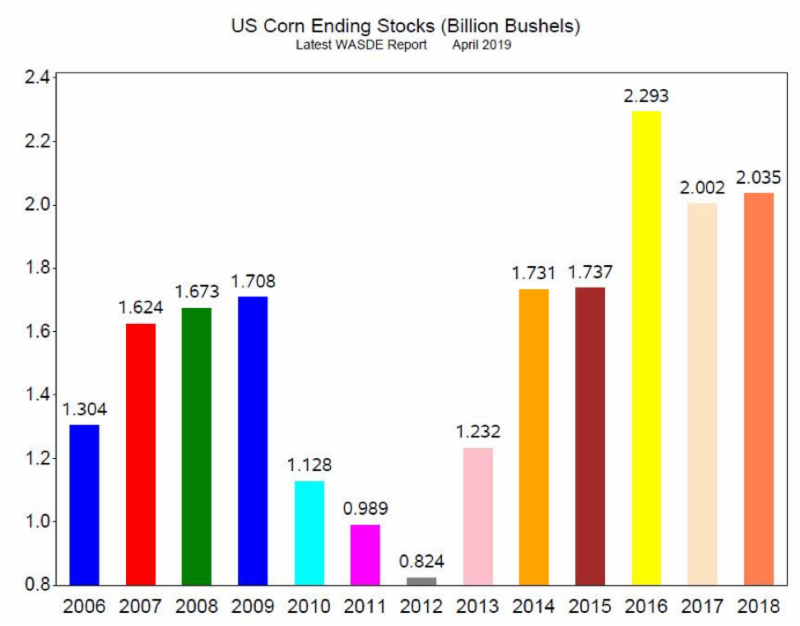 US corn ending stocks were reported at 2.035 billion bushels, greater than the average estimate of 1.991 billion bushels (Chart 1, 2018 bar). 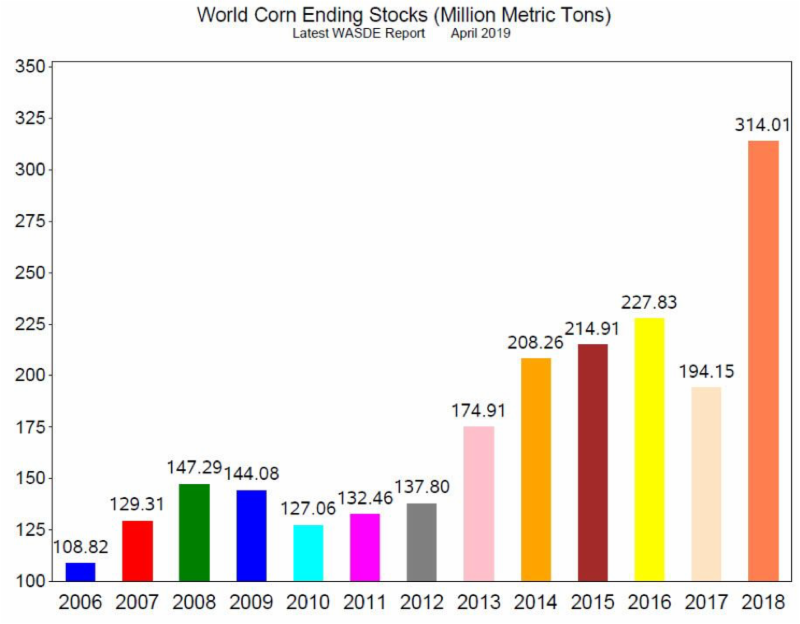 World corn ending stocks were reported at 314.1 million metric tons, up from 308.5 million metric tons in the March report (Chart 2, 2018 bar). 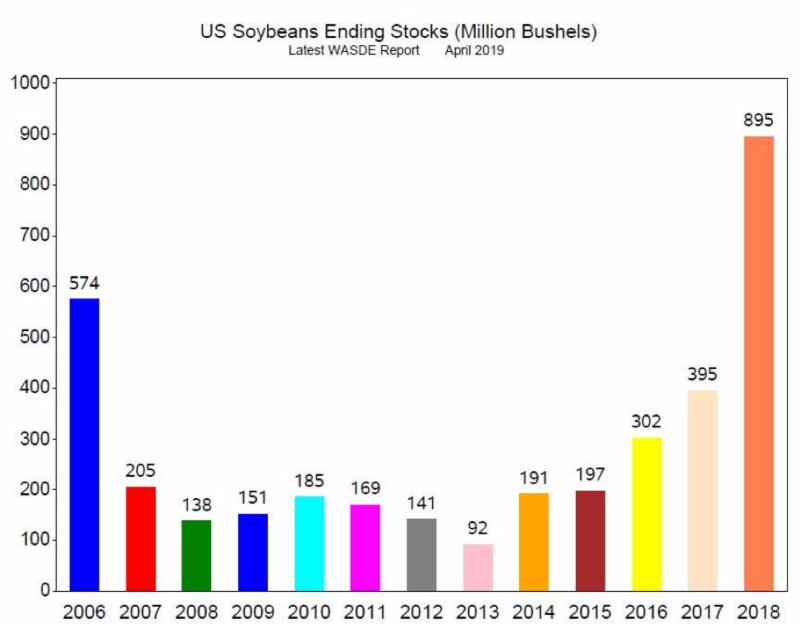 US soybeans ending stocks were at .895 billion bushels, slightly less than the average estimate at .898 billion bushels (Chart 3, 2018 bar). 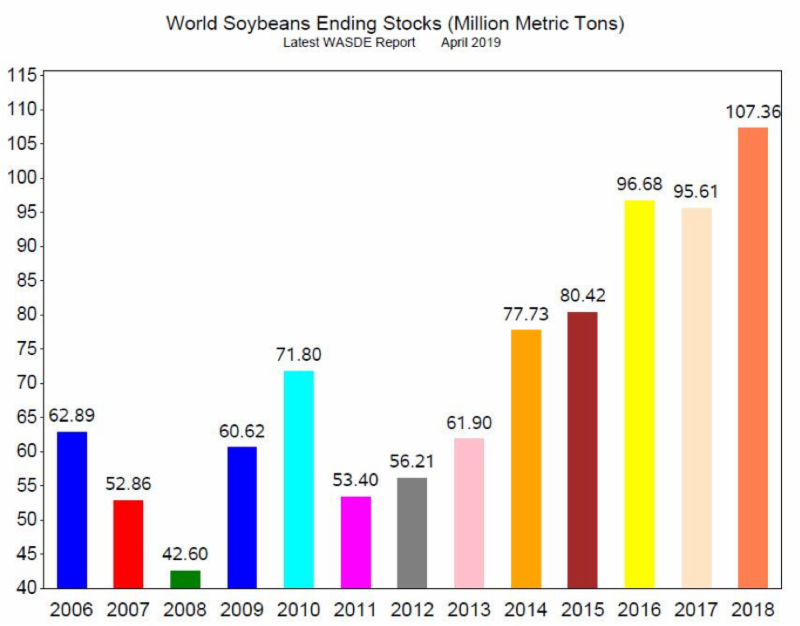 World soybeans ending stocks were at 107.36 million metric tons, up from 107.17 million metric tons in the March report (Chart 4, 2018 bar). With the exception of US corn ending stocks, the ending stocks remain at record levels. The market dropped with the release of the WASDE report, but ended the day basically unchanged. However, the flooding in the Midwest and near term weather forecasts could delay or prevent planting, causing commodity prices to rise.